Anse Banane is almost as beautiful as its neighbouring beach Anse Fourmis, but usually fewer people stop here longer than a few minutes. Tourists have a habit of biking along the road until they reach the dead end and staying on the beach closest to it ;). 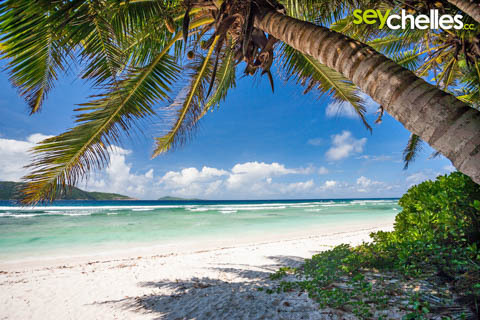 If you rather like a beach for your own, chances are that Anse Banane is your place to go. Similar to Anse Fourmis, swimming or bathing is rather difficult due to the shallow waters, but usually, it is a little bit deeper here. A few palm-trees also provide shade, so Anse Banane is a nice hideaway for a few hours.